We've devoted many points of virtual ink to insider trading linked to law firms (including malfeasance, alleged and otherwise, involving lawyers, secretaries, staff and IT personnel). See our dishonor roll of accusations, news stories and past examples. "Three men ran an insider-trading ring with information from one of New York's premier mergers-and-acquisitions law firms, prosecutors say, taking care to chat in code and flash stock tips on napkins or sticky notes before gobbling them down under the clock inside the teeming great hall of Grand Central Terminal." "Steven Metro, 40 years old, a managing clerk at Simpson Thacher & Bartlett LLP, allegedly accessed the law firm's computer system to mine information on deals and other sensitive corporate developments involving clients, according to prosecutors." "...the tips—which included inside information on Tyco International Ltd. TYC +0.80% 's plans to buy Brink's Home Security Holdings Inc. and the 2013 merger of OfficeMax Inc. and Office Depot Inc."
"A lawyer for Mr. Eydelman declined to comment. A lawyer for Mr. Metro, James Froccaro, Jr., said his client intended to plead not guilty, while another attorney for Mr. Metro, Michael Rosen, said at a court appearance: 'These are only allegations.'" "Both defendants, who were arrested on Wednesday morning, were released after a brief court appearance in Newark, N.J., on $1 million bond apiece, secured by their respective properties. They face a number of criminal charges, including securities fraud, that could result in up to 20 years each in prison." "Simpson Thacher called the charges 'deeply disturbing and unprecedented in our long history.' The firm, which was founded in 1884 and is known for its work in private equity and mergers and acquisitions, said it had no knowledge of Mr. Metro's actions or the charges until Wednesday, when Mr. Metro was terminated." "'Law firms are sanctuaries for the confidential treatment of client information, and this scheme victimized not only a law firm but also its corporate clients and ultimately the investors in those companies,' Daniel M. Hawke, chief of the SEC Enforcement Division's Market Abuse Unit, said." Given that the alleged actor in the case stands accused of accessing internal computer systems to "mine information," this is just the latest example that highlights the importance of enacting rigorous internal information security and access controls (and associated monitoring and alerting of potentially suspicious behavior). 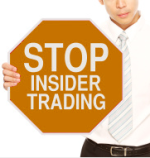 Visit Intapp.com for information on steps firms are taking to mitigate insider trading risks and put themselves in a position to demonstrate that they're taking the strongest measures available to limit the insider trading risk.